Washington, Aug. 13 (Xinhua) -- As the diplomatic confrontation between Canada and Saudi Arabia continues, the U.S. State Department said here on Monday that U.S. Secretary of State Mike Pompeo spoke with Saudi Crown Prince Mohammed bin Salman earlier on the same day. 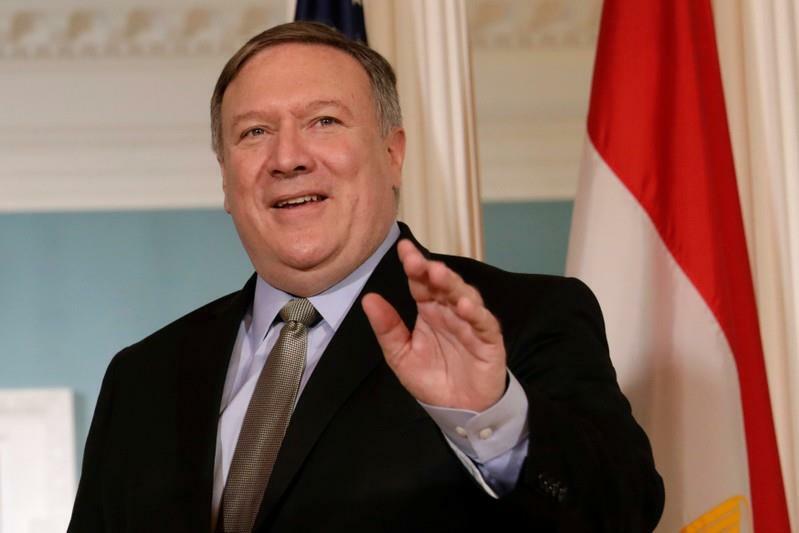 According to a statement issued by State Department spokesperson Heather Nauert, Pompeo thanked Mohammed bin Salman for his nation's support for northeast Syria's stabilization needs, its engagement with the Iraqi government, and its offer to help Iraq address its water and electricity shortages. The two also discussed their support for a ceasefire in Afghanistan over the coming Eid, and peace in Afghanistan more broadly. They also reviewed the efforts to resolve the conflict in Yemen and other topics of mutual interest. Earlier on Saturday, Pompeo spoke with Canadian Foreign Minister Chrystia Freeland, when they discussed the dispute between Saudi Arabia and Canada over Canada's call for releasing civil rights activists. As the dispute over the issue with Saudi Arabia escalated, Canadian Prime Minister Justin Trudeau said last week that Canada will always stand up for human rights. The diplomatic row erupted following a tweet by the Canadian foreign ministry urging the kingdom to "immediately release" detained women's rights activists. In response, Saudi Arabia Foreign Minister Adel al-Jubeir ruled out the possibility for mediation and warned of more punishment against Canada. Over the past few days, Saudi Arabia expelled the Canadian ambassador, froze new trade and investment in Canada, withdrew thousands of Riyadh-funded students from Canada, and announced a suspension of Saudi Arabian Airlines flights to and from Toronto. Saudi Arabia is Canada's 19th largest trading partner and the source of some 10 percent of Canadian crude oil imports. Bilateral trade between the two countries amounts to nearly 4 billion Canadian dollars (about 3 billion U.S. dollars) annually.